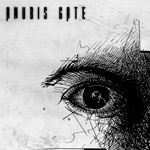 With their fifth release appropriately self-titled, Anubis Gate opens a new chapter in their career. The band has a new label with Lance King's Nightmare Records. Jacob Hansen has removed himself as vocalist, but remains as producer on this work (The album was recorded in his studio). Bass player and principal lyricist Henrik Fevre steps up to the microphone for positive and lasting impression; he's a very good singer. As to the music, Anubis Gate is a deep, diverse, and entertaining collection of melodic progressive, sometimes power, metal. From the huge dense sound of the opener Hold Back Tomorrow, you discover there's much to listen to here, and Anubis Gate will keep you intrigued and entertained throughout as the mix things up. By example, Desiderio Omnibus delivers massive riffage and the fast pace of power metal, while remaining melodic. 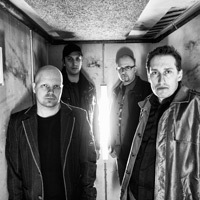 Then there's the heavy, sometimes thrashy, Telltale Eyes which switches tempos with ease and offers a fine synth solo. Anubis Gate easily combines melodic metal accessibility with convincing prog on several numbers, especially the very infectious Facing Down and Oh My Precious Life. The latter suggests what Yes might sound like if they went metal. Circumstanced, the closer, suggests a contrast of grand and sublime expression; the song is heavy, sometimes thick with synths, fast paced at times, but leaves you with contrasting feelings of gladness and melancholy. Largely, the most impressive features of Anubis Gate are the clever and varied compositions; this work will not fit neatly into the progressive (power) metal category. If you can't find something to enjoy on this album, you're likely numb. Next is the superb vocal arrangements and the surprisingly good vocal skills of Henrik Fevre, both passionate and powerful. Anubis Gate is on a fine new path as this album is terrific. Quite recommended. Anubis Gate returns in grand form with their self-titled fifth album. It's packed with diverse progressive metal keeping you both intrigued and entertained.